The System DNS: Available in the System section that defines DNS servers used by the operating system. 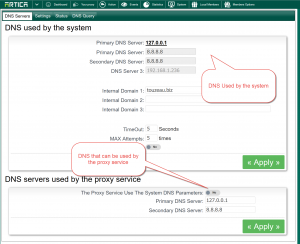 The Proxy DNS: Available in the Your Proxy section that defines DNS servers used by the Proxy service. 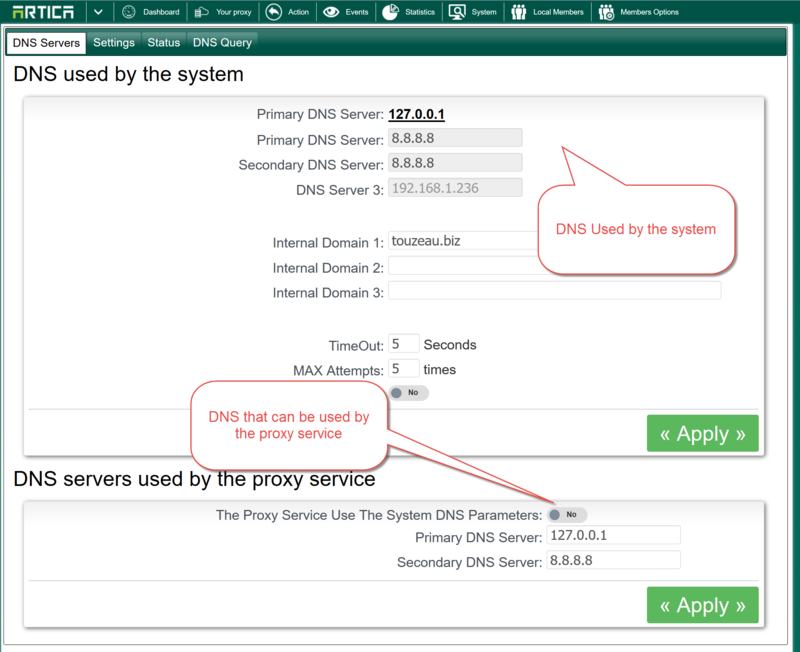 Both can be different, for example when using Active Directory, System DNS can point to the Active Directory server and Proxy service can point to the Google DNS servers. 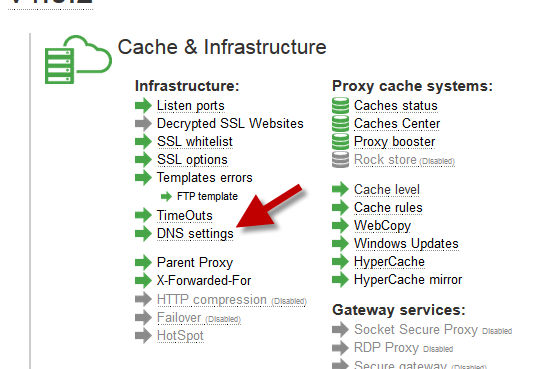 On your Proxy section / Cache & Infrastructure, click on DNS settings. 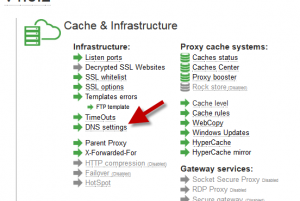 System DNS parameters : This are DNS used by the system for Active Directory connection or other services. The Proxy service can use it’s own DNS servers to query Internet websites.